There is something about a book series that attracts me. When I read a book that has solid characters, I don't want to let go of them after just a few hundred pages. I want to know more. Plus a series guarantees me a few more books to read where I will already have a vested interest in at least a couple of the characters. The Heirs of Watson Island has become one of those series. While the story is a few steps outside of my regular story selections, it has been different enough to intrigue me. 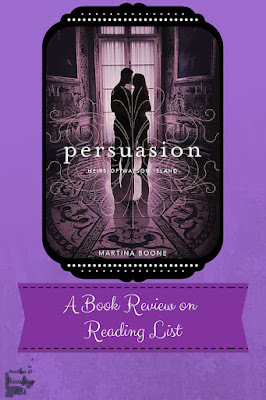 If you missed it, stop by my review of Compulsion, book one in the series, then check out my review of this second book in the series below. 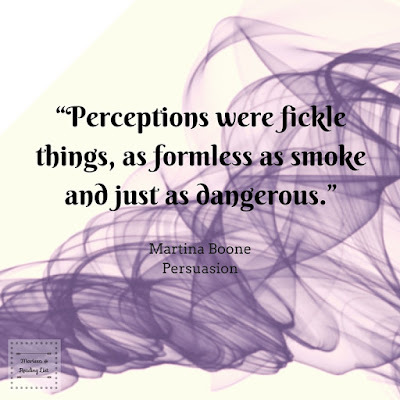 Persuasion ** is the second book in Martina Boone's series, The Heirs of Watson Island. This book continues to follow Barrie Watson, Eight Beaufort and their families as Barrie uncovers more and more of the secrets her mother kept from her. While the continued story line about the new restaurant experience was a nice continuance from the first book, the bulk of the action surrounds a new character, Jeremiah. Jeremiah is not the typical character as he is fueled by a horrible vengeance. It takes most of the book to understand what his motives are, but it's clear from his introduction, he is not to be trusted. The story pulls on historical aspects of the Civil War, slavery and privateers - so you can imagine how many twists you will encounter in the pages of this southern gothic novel! I really enjoyed getting to Eight's back story in this second book. Since Eight has lived his whole life on his family's plantation and in their small southern town he was easy to type-cast in the first book. While Boone did allude to more, it finally comes up in this second book. We learn more about his life, and the life of his father, Seven - who had big dreams for his son before the family "gift" gets passed on to Eight. It was also very nice to get more details on how the Beaufort gift works because in the first book that was not very clear... in fact it was just creepy at times. In fact the more details shared in this second book, the more I understood why the Beauforts were so popular in town. This second book was mostly transitional - so there were a few more details explained, but more questions asked. And that is a good thing, as now I want to read the final book... even if the story seems very strange to me right now. I had some major issues with the twists surrounding Jeremiah, especially in the beginning. Yes, his story is what made up the majority of the driving plot for this transitional book in the series, but it was completely out of left field from the first book. It felt like an experiment from Boone or an editor to show more of the mystic culture that dominates the three families of Watson Island. Barrie was a little more annoying in her narration of the story. I have a feeling that was intentional as the Watson "gift" is weighing heavily on her throughout the story. However, she whined a ton - all the little things seemed like the end of the world - again this is expected to a certain extent with the teen lit/teen lead character... but it was a little over the top for Barrie, at least in comparison to the previous book. And have I mentioned I have three kids? I do not need whining in my books! And then there was the whole flashback scene (don't worry I won't spoil it)... Yes there are some simply awful truths about how slaves were treated in the deep south, and yes that does set up Jeremiah's actions, but again, it came completely out of left field! What did that have to do with anything from book one? Either there is a major need for a tie in for book three, or this book was not really needed and the series should have only been two books long. Then again, I haven't read book three yet - it comes out in late 2016. There are a few of you who are thinking, this is about magic, mysticism, voodoo - and for that reason I will not read it. And to be honest, I think that is a wise decision, for many of you. Because your morals are set in a strong faith. Then there are others of you who are curious about how other cultures play into our society, our world. How different traditions, even religions, impact different people - these details are interesting to you because there are many different people in the world, and while we might never cross paths with some, we just might come in contact with someone who has a completely different value set - in fact, we might have to build a relationship with this unknown person who is full of a different religion, moral standard. While this is a piece of fiction, and should be treated as such, there is something to be said about reading a book that shows off a new side of the culture you live in. So if the history of the South, the religion of voodoo, or the strangeness of voodoo might be something that could cross your path, maybe you could consider reading this book. Or maybe, you just enjoy a good story that is full of twists, magic, and characters that are developing in a way that might capture your attention for book three. 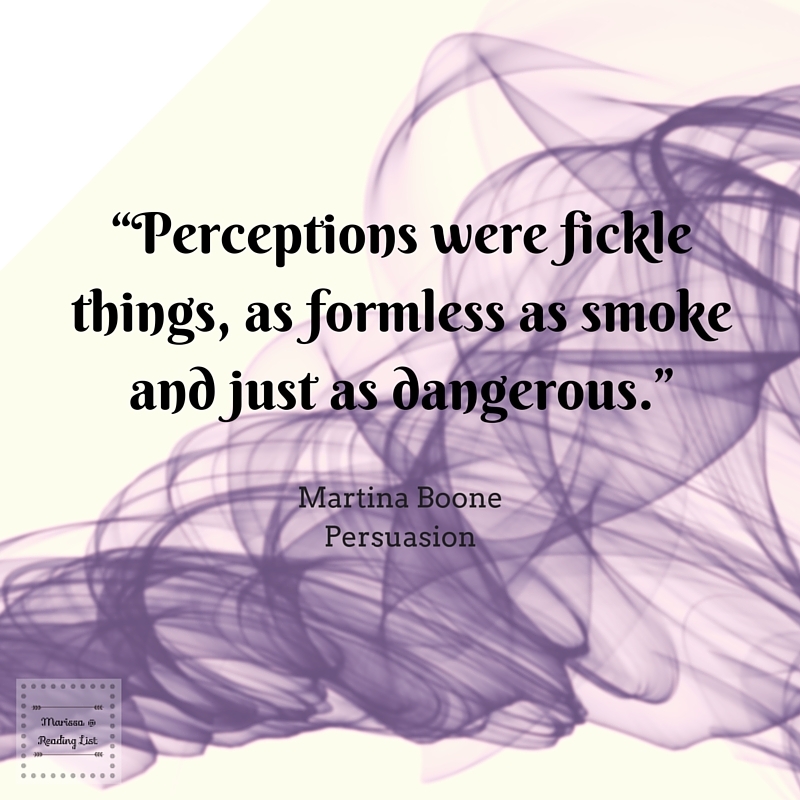 Of course, if you read book one, Compulsion, then you might want to read this one just because. 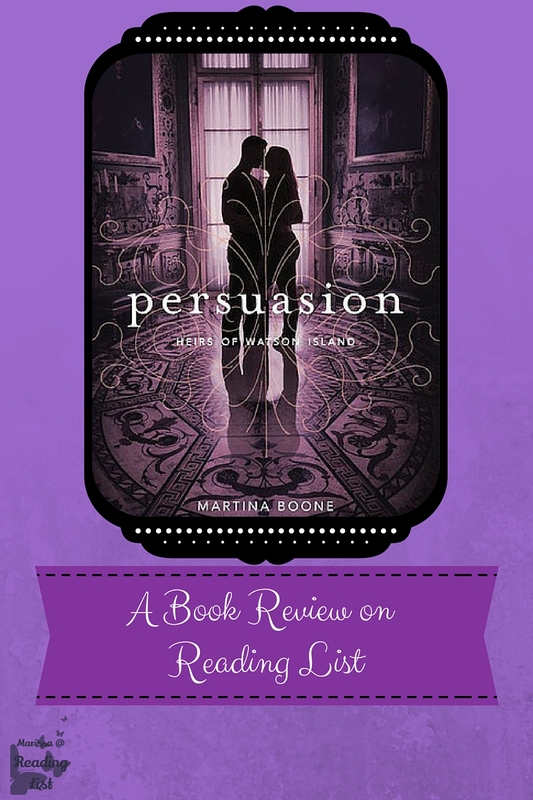 I can only give this book a three heart rating. I wanted so much more out of a transitional book in a series, but it felt like a forced story to meet a contract, or a deadline. I would only suggest this book to those who have read the first book. It is not a great stand alone, and as of right now, I have no clue how much of it is needed to understand book three. It is suggested for a teenage audience, and I would have add that the audience should be ready to read mature subject matter - especially when it comes to the history of the south, the Civil War, and slavery. Plus there is the magic/voodoo subject matter that parents would want to be aware of. Would you allow your teenager to read a fictional book even if the subject matter was one you didn't agree with? At what age will you trust your child to pick out his own books completely on his own?